Real Estate Sector had been booming for the last decade in most of the countries until the crisis year of 2008. 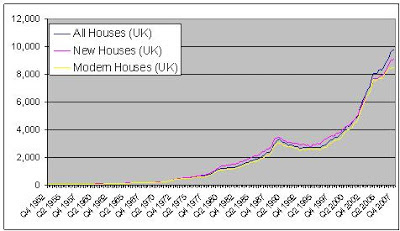 This trend was caused by several factors such as the increasing demand for real estates depending on the individuals, investors and speculators; lack of risk averse investment opportunities mainly in the emerging markets due to the decrease in the reel interest rate which stemmed from the decrease in the overall interest rates and the majority of the conservative and the long-term investors. A positive or negative trend in this sector do not only affect the investors or speculators, but also the related sectors and overall economy because of its fundamental requirements such as big amount of work force who don’t have to be talented or educated; building materials such as aluminum, iron, cement, water etc. most of which have great influence on the commodity markets; work in process goods or materials which are manufactured or assembled by different companies from different sectors. Besides these, this sector is one of the most effective sectors in the battle against unemployment. This shows how real estate sector is important in the recent global economy as well as in the local economies. In order to provide data we will look into different real estate markets from major economies. As we have already known, real estate values especially the residential houses in many markets around the world – from Australia, India, China, and Japan, to Denmark, Germany, and France, to Mexico and the United States – have been increasing very much for the past few decades. A recent survey of housing prices in the UK, has put average home appreciation at 200% over just the last 10 years. In some parts of US, values have risen even more. 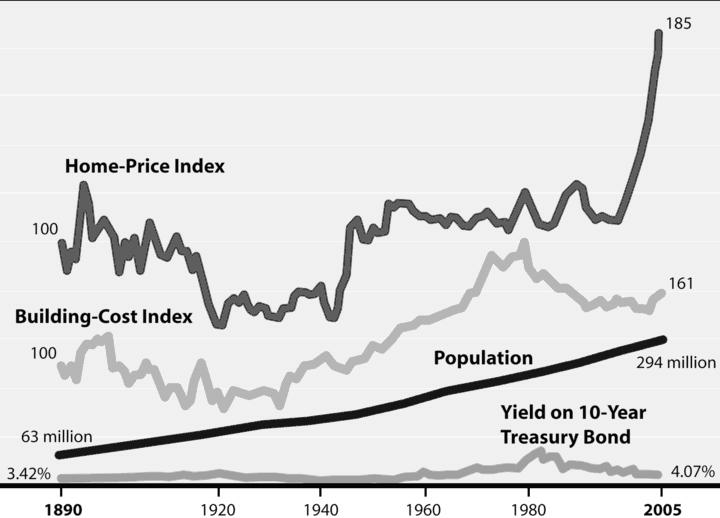 The following graph shows how the prices of houses have gone up in US for more than one century. It also shows that while the yield started to fall after 1980s in treasury bonds, the real estate prices have started to increase. When we look into other developed market, such as UK, it is also seen that the same impact was reflected to UK real estate market and the real estate prices have been appreciating sharply in the last decade. However, when we reached to 2007, the prices have stabilized as illustrated in the following figure and there were no more increases. This rise in the last decade in the major markets were not only depending on the local demand but also due to the cross border capital flow coming from the countries in which there are several investors who have excess liquidity. When we look into deep, we have seen the strong capital flows coming from the Middle East and Southeast Asia into North America and US capital has started to flow into China, India, Europe, and Mexico. § Taxes and other structural factors. § Construction lags and imperfect information (cycles): When the prices of existing real estate rise above replacement costs, the developers initiate new projects. But, as these new projects may need several years, the prices will continue to rise until the project will be ready for occupancy. By that time the demand for real estate may have fallen or several competing projects may have resulted in over-supply. Because of this lag in construction, the developers will not be able to predict what the demand will be in the future and when all of these projects are completed the supply may exceed the demand and the prices start to fall. § Loan collateralized by real estate (booms): Increasing real estate prices raise the market value of the collateral on outstanding real estate loans. This lowers the risk of the loans given by the banks and the capital allocated for that specific transaction depending on Basel II principles. Then, lending becomes more secure and the allocated capital becomes more less. This encourages the banks (or more banks start to offer real estate loans) to lend more with reduced interest rates which will trigger the demand for new properties coming from different individuals. This will increase the prices. § Loans are given without paying attention (downward): Being on the opposite direction of the boom trend which is depicted in the above bullet point, the real estate market may also go down depending on several reasons such as banking crises (liquidity crises), FX crises, political problems (no governing authority, war, rebel etc. ), disasters (earthquake, flood etc.). If we take only liquidity crises, these may occur after the banks give loans to almost everyone who has intended to buy a house. As the number of sub prime people increase in the bank portfolio, the delinquency risk increases as well. As the people become delinquent, they are forced to sell their houses and since everyone starts to do it the real estate prices go down. In addition to the above findings, the real estate sector is very indicative for banking crises which have happened in different major economies all over the world. It is seen that before banking crises the real estate prices start to fall, as the country is approaching to the crises environment and it takes long time for the economy to recover depending on the strength of the economy. As illustrated in the following figure, the x axis shows the period before and after the banking crises. When we look at the average prices of the real estates for both residential and commercial properties; the banking sector distresses have been affecting the prices of both types of properties in the same way. Since there is a liquidity crunch in the banking sector, the banks are not able to give real estate loans due to the big credit size and the unavailability of the excess funds in their sources.